Discussion in 'News' started by Todd Black, Dec 17, 2016. I won't spoil it but I saw it last night. They are now running screenings every 15 minutes and the queues are huge. I actually prefered it to The Force Awakens, although I agree about their handling of one CGI character. After Michael Douglas de-aged seemlessly for Ant-man, or The Crow covered for Brandon Lee, covering for a missing actor just wasn't as well done here. Still, it is a great film. See it! I've also already seen the movie, and I have to say that it's even better than I expected. It fits perfectly into the series and while I know that a lot of Star Wars fans have been slightly concerned that it may not live u to the hype and expectation, for me it's as good if not better than the others and Star Wars fans have no need to be worried and it's a must watch film, and one that I think everyone will be impressed with. 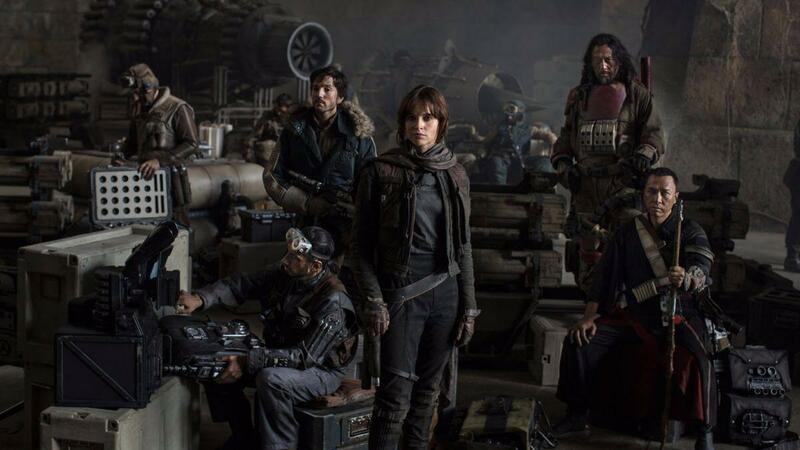 In a sense, Rogue One is something like the Marvel Studio installments that regularly crop up in theaters in between the “event” all-star Avengers reunions, a stopgap to keep the brand name in the spotlight while waiting for Episode 8 to arrive. Also, like most stand-alone Marvel offerings, while generally well-done, it can be skipped without really missing anything essential to the larger narrative. It’s engaging but not as exciting or compelling as The Force Awakens, and while it sheds some interesting light into shadowy corners of the Star Wars mythos and serves as an intriguing companion piece to A New Hope, it doesn’t ultimately add anything indispensable to the main series. As an excuse to spend a little more time in the much-loved Star Wars universe, it’s a fun ride, but in and of itself, it’s moderately underwhelming. I really liked this movie. It is very unique for a Star Wars movie and has some really loving characters in it. The story isn't focused on action like the other movies which is very nice, but it isn't as good as The Force Awakens in my opinion.